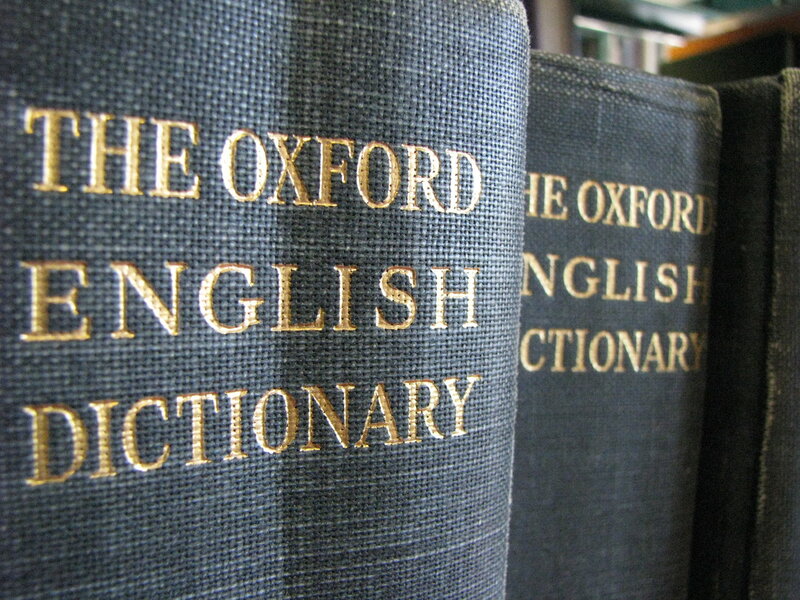 The folks over at the Oxford English Dictionary published their latest updates to the OED today, revising and adding to a language which already contains more than 600,000 recorded words. Among the new inductees are some real corkers. Several modern day initialisms – abbreviations consisting of the initial letters of a name or expression – such as OMG (oh my God), LOL (laughing out loud), FYI (for your information), TMI (too much information), IMHO (in my humble opinion) and BFF (best friends forever) have been formally included for the first time. This rash of new initialisms is of course a reflection of the new world of informal digital communications, whether it be the longer-form style of emails or online forums, or character-limited media such as SMS texts and Twitter, where brevity is at a premium. Other food-related additions reflect a world of different cultures which is now more accessible than ever. Hence banh mi (a Vietnamese baguette-style sandwich), kleftiko (a Greek dish of slow-cooked lamb) and flat white (an Australian form of coffee in which foamed milk is poured over an espresso) are now officially recorded by the OED. Then there are new terms relating to the world of business. So a dot-bomb is a failed internet company, while a dotted line describes an indirect reporting relationship. And, as always, recently popularised figures of speech and slang expressions continue to be incorporated into our ever-evolving language. Among those which caught my eye in today’s update we have the wonderfully descriptive muffin top (a protuberance of flesh above the waistband of a pair of trousers), on the lash (engaged in a bout of drinking), cream-crackered (knackered, as in exhausted), fnarr fnarr (a lecherous snigger, for which we can blame Viz) and smack talk (boastful or insulting banter). Is this influx of new words – some of which will pass out of fashion as quickly as they entered the common lexicon – a good thing? Of course it is. English is universally considered to be the richest spoken language in terms of number of words. That multiplicity of words allows us to separate fine nuances, and to provide clear, evocative descriptions of the world around us. Is that woman’s dress simply red, or is it crimson, burgundy, scarlet, blood-red, claret or perhaps even damask? And aren’t dot-bomb and muffin top wonderfully vivid yet economical descriptions? If it was good enough for Shakespeare, it’s good enough for me. To paraphrase Twelfth Night, if new words be the food of language, play on. Now if you’ll excuse me, that’s TMI about this brave new world IMHO. I’m cream-crackered. Pass me my flat white, please. For more information on the March 2011 OED update, click here. Posted in Other stuff, You might also like ... and tagged acronyms, dictionary, English language, featured, language, OED, Oxford English Dictionary, words. Bookmark the permalink. If you want to read an author who had a penchant for making up words as he went along, I’d recommend James Joyce and Ulysses. Modernism at its finest. Although I’m okay with including the most commonly-used initialisms (as long as it doesn’t become excessive), I am frankly astounded by “wassup”, not least because I thought that particular craze had died a death. (Says the distinctly out of touch 40-year old.) Never liked those Budweiser ads, either. I can’t believe words like “LOL” and “OMG” were added to the OED. In my oppinion, this is kind of sad, but this was an interesting post anyways. Congrats on being Freshly Pressed– as someone who was featured 2 days ago I know how much of a surprise, and yet how fun it can be. For me, it’s okay as long as it doesn’t become excessive. LOL, OMG and FYI are (I think) fairly well known to people of all ages, whereas I’m a bit more dubious about BFF and many of the others which were not included this time round. FYI is a bit like a modern day version of QED, I guess. Congrats to you too on your appearance on Freshly Pressed. What a wonderful surprise! I will pop over and have a read of your blog now. Abbreviations and acronyms weren’t Scrabble fodder, were they? I stand to be corrected by more experienced Scrabble players, but I think quite a few acronyms and abbreviations are acceptable where they have become accepted as genuine “words”. But I believe that initialisms in general are not. So I wouldn’t expect to be able to play IMHO or BFF any time soon. That’s nice! But “IMHO” abbrieviations make less easy to learn english for spanish speakers or make to imagine others ways to think what is for example LOL. Many people tkinks is Lot Of Laught!!! Tim thanks for this post from Venezuela! I understand your problem. But I guess initialisms like LOL were in widespread usage already, even before they were formally included in the dictionary. And I doubt their usage will increase as a result. A dictionary should be like a mirror held up to a language – it is merely a reflection of what is being used commonly by English-speaking people all over the world. And at least if a new word is in the dictionary you can now look it up to see what it means, which can only be a good thing. My issue with all of the initialisms being put in the OED makes it seem like the entire English language is declining into the language of texting. It’s sad.. But I do understand that being able to look up the initialisms is a good thing, especially with so many of them being used in our vernacular. Thanks. Surely it’s only a matter of time before WTF is included? As Matthew says below, it could join the list of other rude words that people look up when they buy a new dictionary! come now. WTF should be listed before OMG. It is way more useful. You can curse in front of people they won’t feel so offensive about it. WTF fits into a category that causes me some confusion… in the post, initialisms are defined as an acronym pronounced as a word. I see that in “LOL,” but how do you pronounce BFF? (I’m imagining a single puff of air through the lips.) I’m an elementary school reading teacher, and I find myself protesting that for it to be a syllable at all, it needs a vowel. I also have never heard anyone pronounce OMG as a word; I’m trying to picture if it’d sound more like “ong” with a ringing, nasal sound (making it a welded sound), or if the hard g would be sort of separate (making it a blend). Acronyms are a subset of initialisms – if it is pronounced as one word it is an acronym (e.g. WAG), if it is spelt out as its letters (e.g. FYI, BFF) it is simply an initialism. So all acronyms are also initialisms, but not all initialisms are acronyms, if you see what I mean. Thanks for the clarification! I had it backwards. Great post! I had been musing over the way words are introduced to the English language. Loved the historical references. I do love the origins of words and phrases, and finding out more about the development of language in general. Not that I’m a word nerd, but to me it’s just another way of reflecting the way our culture has changed (and continues to change) through the course of history. Thanks for the kind comment! Great post – and I bet by 2040 today’s TXTSPK will be old hat. It’s generational; but by then we’ll know which are the enduring words. Language evolves constantly with the generations – and faster now, I suspect, than ever. The OED do a pretty good job of keeping up – I’ve got the 1971 “compact” reprint of the 1933 original next to my desk, all 600,000 definitions of it. Great for vocabulary, but it shows its age. For the everyday stuff I use the Concise 11th edition (2009). The first thing I did, of course, was look up the rude words… but then who doesn’t? (Apologies here to Blackadder The Third). In a world of e-books (a trend I love as I sit here flicking through a book in my iPad), there will always be a place for my (slightly battered) Concise OED on my shelf. When the Bard of Avon said that “brevity is the soul of wit”, I don’t think he had LOL, OMG, and BFF in mind. But, gotta move along with the times…’cept I hope we don’t all turn into absolute dummies with moans and grunts for a vocabulary. To be honest, Shakespeare was such an innovator himself – making language work for him rather than the other way round – that I think he would have appreciated the economy and expressiveness that the likes of OMG have. And now I have a mental picture of the Bard typing his latest play into his iPhone while dressed in a hoodie. Arrgh! Wasn’t Shakespeare into coining new words? I wonder if he was out contemporary, what would be his favorite ones? 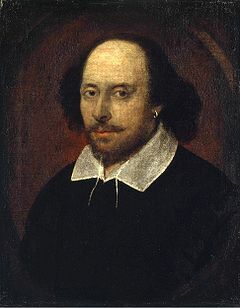 Shakespeare – and indeed many of his contemporaries – often invented new words (or adapted existing ones) when he couldn’t find an existing word that expressed exactly what he was trying to say. If he had been alive today, I’m sure he would stlll have been at the forefront of pushing back the boundaries of language. It’s far too easy to get too precious about language, I think. One person’s declining values is another’s evolution. The point is that language serves us – we should never be slaves to it. It has always changed throughout history, and will continue to do so. This is great! I wonder if one day these will be on a list of spelling words for our children? I wonder if “google” is already in there, I use it as a verb all the time. I remember the first time that I came across WAG. It was in 2007 and I had just come back from a year’s worth of travelling, picked up one of the red tops and saw the headline screaming about WAGs. I had to ask my father what it meant. When I left the UK the year previous, a wag belonged to a dog. Although it was first used in 2002, I think it did peak in 2006 when the whole media circus about Victoria Beckham, Coleen Rooney and the other WAGs at the World Cup was happening. It’s amazing how quickly a new word can be adopted, particularly when it is attached to the world of celebrity! Like that bloke who married Kate Moss or the other one who used to date Amy Winehouse? Oh completely. And now we have the world of Twitter which makes everything instantaneous. Although as I’ve noted above, I don’t think the likes of LOL, BFF and IMHO will be admissible in Scrabble. A shame, as they could get me out of some tight corners! Many thanks – it was a pleasant surprise to end a long week! Well, there’s new and then there’s just plain incorrect, isn’t there? Although I know exactly what you mean. If memory serves, I think the Icelanders and French are much more conservative with what goes into their official dictionaries. For example–again, if I recall correctly–I don’t believe there’s a French word for e-mail. I think most other languages are quite conservative, but then they are in a different position to English, which is still regarded as the “universal” language for media, business etc. French, for instance, is more conservative in part because they want to preserve their language and prevent excessive Anglicisation (“le weekend”, for instance) – understandable, I think. Every year, there is a story about how yet another language or dialect has died out somewhere in Africa or Europe, largely because a more widely-spoken – and therefore “useful” – mother tongue has been adopted. Closer to home, Welsh is in constant danger of becoming an outdated language, despite great efforts to preserve it and pass it down through the generations. I’m assuming they freed up some room by removing the words “credible”, “meaningful” and “scholarly.” Next year – smuttonchops and prostotot. Hooray for progress, damn it. Fortunately, it’s not a case of “one in, one out”, although words are always falling into disuse as new ones are adopted. I think there’s always space for new words, but they should be adopted with caution as many fads are (by their very definition) fleeting. In many ways, I am surprised that FYI – which has been around for 70 years – has not been adopted until now. But I draw the line at hyper-compressed text-speak such as “cul8r” (see you later). There’s no place for that in the OED – at least not yet. hehe! The inclusion of numbers in words would be a real evolution of any language! (cul8r) It seems as there are only space for acronyms in english, no more for really new words. In my oppinion, Wassup indicates more than a word, a style of life. I think is The New Word of our times. Maybe one day, the Diccionario de la Real Academia de la Lengua Española will take that word too. Indeed, the new words in spanish are coming from english, in the main! Maybe one day, LOL wil be a word and will wroten Lol. In spanish, we say: ¡Que risa! when we are laughing out loud. maybe one day (very soon) we will see us saying: Lol! It will be nice… More time to laugh. hehe. Sorry about my mystakes in english! And thanks again for your post! I don’t really know how to feel about this. I know we have to keep up with modern times, and modern phrases, but I’m scared we’ll also lose the beauty of our language. Does everything really need to be shortened anyway? The way younger people commune in the digital world is now leaking over into the real world. E.g If my 20-year-old brother finds something funny he will laugh (out loud), and when he’s finished laughing he’ll say “LOL.” I mean, really! But, then again I shouldn’t talk…. I have been known to get quite ghetto at times and spit phrases like, “Oh hell no, stop talkin’ smack yo!” Way to go white girl! I think moderation is the key. I forget exactly what the OED’s exact criteria are for including new words, but I believe they include how widespread the usage of a word is, and some kind of assessment of its permanence (has it been around for a while, and has it become embedded into everyday usage). Remember that the “old” dictionary is full of abbreviations or shortened forms of historically longer words which have since become accepted as normal. We live in a short-hand world, and the balance for the OED is to judge that fine line between not being swept up in the latest craze while remaining relevant as a reference source. The milk of human kindness was one of Shakespeare’s. From Macbeth I think. I’m all in favour of language evolving. Doesn’t mean that I’ll be able to resist punching anyone who uses words like sexpert or staycation in the face though. There are so many of the Bard’s turns of phrase which have passed into the common lexicon without people being aware of them. I saw King Lear (the Ian McKellen version) at Stratford a few years back – I was unfamiliar with the play and was rubbing my hands with glee every time I had an “I didn’t know that was Shakespeare!” moment. I’m such a geek like that. I can’t really explain why, but I like staycation whereas I can’t stand sexpert. Interesting post, I had no idea these were now included in OED! Good to know, I guess. I find it interesting that certain words are in the OED, while others are not. I was amazed that FYI was not there until this most recent update, for instance. I’ve got to say, new words are fun. I always enjoy reading books with crazy slang and then using it, completely confusing all my friends. I think you hit the nail on the head. Language should be fun. It’s there for communication, of course, but in the hands of someone willing to exploit it, it should be playful, expressive and fun too. It’s not just a functional tool! Death to acronyms. No one will know what actual words are soon, and acronyms will be the way of the world, only none of us will know what OMG and LOL stand for. The future generations will be speaking in codes…. To a certain extent, abbreviations and acronyms are already locked into our language. How many people talk about NATO without knowing what it stands for (North Atlantic Treaty Organisation), or think that the BBC is the British Broadcasting Company (technically, it’s Corporation)? I agree that there are too many acronyms and other TLAs flying around in the world, but surely the OED (which is, in itself, an initialism) is right to acknowledge the most commonly used and relevant ones? I totally agree, but it just goes to show how the world is evolving. Can you remember as a child growing up some of the words that were used? where are they now? I think it ok in some sence but then on the other hand I also think that your actually going to limit ones vocabulary word by adding acronyms to the OED. We’re now decoders. HaHaHa!!! Gosh, I used to stand around in the library for ages reading the OED on a big wooden pedestal. I love learning where words come from! Great post! I’ve long resisted the new words in the English language. I just couldn’t bring myself to look upon them as actual words. You’ve won me over. However, that being said, doesn’t the more informal use of language also encourage issues such as the constant misuse of there, their, they’re, or your and you’re? I know the english language is fluid, but sometimes in modernizing, I feel we may be inventive yes, but sometimes we’re just lazy. I can accept LOL and OMG and Wassup, but I don’t think I could accept they’re, their, and there being merged into one word… I might have an aneurysm. I’m all for informal language, as long as it is used correctly. Apostrophes are my particular bugbear. Seriously, how difficult is it to learn the difference between it’s, its and its’ – in particular the fact that the third form does not actually exist? Similarly you’re/your and they’re/their. I think one of the big problems – aside from educational standards – is that English is quite an informal language to begin with, in the sense that it is neither particularly rigid nor structured. There are no fiddly declensions to mess around with like in Latin, no rules about what order words should appear in in sentences (as in German, where the verb goes at the end of a clause), and a mass of irregular “rules” and colloquialisms. It’s a miracle anyone ever actually learns the language, but it is also one of the beauties of English that it is so free-flowing. Media really made a huge effect. No problem. I agree that digital media such as texting and emails in particular have encouraged this trend. But as long as people understand what the most common ones mean and we don’t use them in proliferation, that’s fine by me. IMHO, of course! I wonder if all initialism are listed, then we will be talking all initialism? I like your post! I guess even the word “to blog” was not there in the dictionary some years ago. I think it’s important to recognise that a dictionary is only a record of the current state of written and spoken language, it doesn’t necessarily dictate our usage. (Although the inclusion of LOL, OMG etc in the OED does validate them into the “official” language.) After all, we have been using FYI for years and it has only just been included. I doubt we will end up talking solely in initialisms, but their use in moderation is part of the evolution of the language. If you go back to original Chaucer and Shakespeare texts, you will see how much English has changed over the past several hundred years. And even if you read books from 100 or so years ago, the use of language is much more formal and verbose than what we see now. That doesn’t make it any better or worse – it’s just different. Language will always change with the times, and the job of the OED is more about being a keeper of an accurate historical record than it is about dictating what is and isn’t said/written. I’m not sure when “blog” was first included in the OED, but obviously it can’t have been too many years ago. I’d say it’s only really in the last 7-8 years that the word has become commonplace. Never heard of WAG..maybe bcs I never had a W – yet…As a “wordsmith” your post is a gem. One of my heroes, the late William Saffire, would like it IMO. Just read today where <3 is now an official word in somebody's dictionary, and thought, "no it is a CYMBOL for three words…"
Major props on getting pressed like the freshly printed page! Many thanks. The inclusion of the heart symbol is part of the OED update. It feels a bot odd, but then it has been around for quite a while and is fairly universally understood, I think. The term WAG tends to relate to the wives and girlfriends (hence the acronym) or sports stars, who often gather more media attention at major tournaments such as the football World Cup than the sportsmen themselves, and can often be just as big in terms of their level of celebrity – Victoria Beckham, Cheryl Cole, Coleen Rooney etc. It’s a very recent term (first coined in 2002), but has shot to prominence largely due to its proliferation in the UK tabloids. He invented a lot of words and phrases, although it isn’t always clear whether he invented certain words or merely popularised them. Almost everywhere you go, you will read something that owes its origins to him. Oh dear, sometimes i fear the lexicon disease of the abbreviate will one circumvent all venue of communication. Then again, IDK for sure. LOL. I think it’s up to people to use abbreviations/acronyms/initialisms appropriately. Writing a text to a friend is fine, but you wouldn’t put an LOL or OMG into a business letter, say. People use “etc” all the time, and that’s not a problem because it is universally understood. The problem arises when they are overused in communication with someone who is less familiar with them (like me!) Language should always help rather than hinder, and if the sender’s convenience at saving a few seconds is outweighed by the receiver being unable to read what is sent, then something has gone wrong. Dutifully agreed, and yet I hear youngsters crossing the street proclaiming, “OMG, LOL!” and “Oh god, FML right now.” and can’t help but imagine a world of initialized conversation and laugh a bit darkly. aaahhh whats happening to the world! I know what you’re saying, but the simple answer is: nothing, really. It’s just that the OED has chosen to recognise some new initialisms (and a host of other words, some of which are fantastic) which are already in common usage. The OED doesn’t invent words, it merely validates/records them. I doubt anyone’s use of LOL, OMG, BFF etc will increase as a result of them being included in the dictionary. I understand what you’re saying, but I disagree. What is the essence of English? Before the emergence of LOL and its ilk, was modern English already a bastardisation of the language of Shakespeare’s era – or was it just a natural evolution? The nature of language is that it has always been a moving feast. You can be sure the OED will be sparing in its adoption of initialisms – you can count the number included here on your fingers, as opposed to the thousands of others that exist in common usage in pockets of society. Words are only included in the OED if they are deemed to be relevant, popular and have a degree of permanence to them. For instance, FYI has been around for 70 years – I’d say its inclusion was long overdue. Wassup?! LOL, OMG, I laugh because as much as I would like to speak as fluent as William F. Buckley, I use these ridiculous acronyms and slang words on a daily basis, in speaking and writing. We all know the cliche: It’s a hard habit to break. Indeed it is! And I guess that’s the point – that so many of us use many of these on a daily basis. For the OED not to include them would amount to taking an editorial stance, whereas their role is meant to be more objective. Brilliant post and v. interesting, especially for people like me, who had to learn English the hard way and are now bilingual translators (among other things). I can’t resist this, are you aware that the word “muggles” (Harry Potter) is also in the OED? I beg your pardon but what does the word “muggle(s)” mean? As Gabriela notes above, “muggles” is a term from the Harry Potter books. It refers to the name the wizarding community gives to non-wizards (i.e. us). It’s interesting that this is in the OED, insofar that I am surprised it made it in before, say, FYI. Thank you for your generous comment. As someone who is strictly mono-lingual, I am always impressed by anyone who can act as a translator! “Muggles” went into the dictionary a year or so ago, didn’t it? I remember it made me smile when I read about it. Can’t believe what has creeped in as new additions! Awesome post and congrats on fp! True, but isn’t it the same if we use long and seldom-used words where simpler ones would suffice perfectly well? At both ends of the spectrum, whether it is LOL or some obscure long word that hardly anyone knows the meaning of, the primary aim of language is to communicate with other people. If there is some entertainment and education too, great, but above all it’s all about giving and receiving a message. As long as people understand what is being said, everything is okay by me. I’ve made a perusal of your article … really enticing, interesting, full of history … wonderful !! Many thanks. It was fun to write too. I’ve also answered the question you had in response to a previous commenter above. If language didn’t change with our culture we wouldn’t be able to communicate effectively any more. It is always great to see what OED will add next. My favorite this time around is cream-crackered. Saddly I am in the US and if I tried to use it here they wouldn’t get the meaning (knackered isn’t used on this side of the pond). I totally agree. Everything else in our world changes, so it only makes sense that language should too. At least you can now point people in the direction of the OED if they don’t understand “cream-crackered”. I’m not sure how long that particular piece of rhyming slang has been around – at least 25 years, I’d say, so it’s a fun one to see officially included now. I have mixed feelings on the additions. I’m glad that our language does evolve and change and that “those with the power” support this evolution. I never thought that things like OMG, FYI, and the like would make it. I’ve returned to college and have actually witnessed young students argue with professors about the spelling of words. My favorite two examples are text and laugh. The young students believed with everything they had they were spelled: txt and laff. At what point does language move away from a natural necessary evolution into being slaughtered by ignorance? There’s definitely no need to pander to the lowest common denominator and allow misspellings of words just because some users of the language are incompetent. Interestingly, the spelling of words has often changed or become bastardised over the years too, usually with the effect of making spelling simpler. I do think taking text –> txt and its ilk is going a step too far, though. What next, dropping vowels and reducing the alphabet to 21 letters? There’s a fine balance for the OED and the other “guardians” of the English language here. Simplification is a good thing in principle, but there comes a point beyond which you start to destroy the richness and the ease of interpretation of a language in the pursuit of convenience. So for me “txt” and “laff” are no-nos for now, but in 50 years’ time, who knows? See http://michaeleriksson.wordpress.com/2011/02/24/on-language-change-prescriptive-and-descriptive-grammar-and-related-issues/ for a few words on why language change is not a unmitigated good. congratulations on being freshly pressed!! I really enjoyed this post. I love the English language and it is of constant fascination to me how with a few variations you can change the meaning of a whole sentence. I love the nuances and quirks of the lanuage and how a mix of common words can create the most beautiful poems on earth. and how do you explain to someone whose first language is not English that sew/sow/so are three distinctly different words with different meanings even though they sound the same. Same spelling, different meaning words are my favourites as well as descriptive words. The English language paints a picture, as when we wax lyrical as we wax the table. Marvellous. There are dozens of words in use today that were not even around when I was a youngster. Thanks for this most enjoyable post. I completely agree with your sentiments, Cindy – although where you say “dozens” in reality it is probably several thousand! Language is an art. After all, it is all about expression, whether you want to do the equivalent of the most basic stick drawing or paint the ceiling of the Sistine Chapel with your words. I think if you started to explain all the quirks and irregularities in the English language you would soon go mad. How do you explain to someone that the word “set” has in the region of 120 different meanings, including a collection, a period of play in tennis, to harden/solidify and the dipping of the sun at the end of the day? But then it is also those irregularities which add to the beauty of language. I have mixed feelings about this. I’m glad that we’re evolving, more into the technological age. However, LOL and OMG… it’s just too much for me. That takes away the richness of the English language. Using it on the internet is fine. What happens when we see it on school essays and the likes? Pretty soon we may see words such as dat, dis, lyke, and err one in the OED. I know what you mean – although remember that, for instance, the OED believes OMG actually first occurred in a letter nearly 100 years ago. The important thing is using these informal terms in the right context. You wouldn’t write a business letter, job application or legal contract using these kind of words, but they are absolutely fine for sending an email to friends. I actually think their use adds to the richness of the language when used appropriately. LOL is a wonderful expressive initialism which says so much more than “that’s very funny”. But, like sugar, you can have too much of a good thing! Great post! I didn’t know that Shakespeare “invented” words xD That is so funny. My mother tongue is Spanish, and I’ve witnessed lots of discussions about spelling, genre of words and conjugation of verbs in this language… The thing is that it changes all the time, like you said it happens with English (and probably happens with all the other languages in the world), so what it was wrong in the past now is acceptable, and what was right before is now considered a mistake. For instance, some years ago if you said “imprimido” instead of “impreso” (printed) it was totally wrong, and you would have looked like an ignorant. But so many people made that mistake that now it is accepted, and it is so difficult to get used to it. Thanks for sharing this interesting information, I really enjoyed it! Many great writers over the years have invented – or at the very least popularised – new words. Lewis Carroll is another example who springs readily to mind. And you are absolutely right that popular opinion and standards change over time. That is true in all areas of life. A loosely related example: go back a hundred years or so and women were not allowed to vote, for instance. That was deemed “right” at the time, but it seems ridiculous now. Language is the same. It evolves. We may not always like some of the directions it goes in, but it would be wrong to deny its existence. I agree that the dictionary must be updated as new words become commonly accepted. However, abbreviations that are used because people are too lazy to type entire words on their cell phones is something different. These are not conversational, and printing these abbreviations in dictionaries is showing that it is ok not to learn how to speak or write properly. I truly believe this is sending the wrong message, especially to students. I teach at a university, and students, so used to texting, are actually handing in essays with “u” and the lowercase letter “i.” It is a disgrace, and it should not be considered “ok” to use texting abbreviations as words. I agree there needs to be a high degree of caution about introducing text-speak, although I think because FYI, OMG and LOL – OMG being nearly 100 years old – have their origins in the pre-digital days that these are acceptable additions. I am more ambivalent about IMHO, BFF and TMI, though. And I am absolutely opposed to the notion of the OED ever validating the likes of “u” or “cul8r”. It is one thing to allow the language to evolve – it is something else entirely to allow standards to deteriorate. You’ve educated me and made me chuckle! I had no idea what a WAG was. Congrats on being Freshly Pressed! Many thanks. It has led to some really interesting comments and discussion, so I’m very happy! Great and informative post. I haven’t heard of many of those words. What does that say about me? Well, the vast majority of people don’t know 90% of the “old” words, let alone the new ones – so I suspect you are in very good company! The English language is constantly evolving, but I so worry what it is evolving into. I consider these latest inclusions a backward step for the English language.. hmm they smack of slang, lets hope the English language doesn’t get overrun with slang. I suspect it has always been the case that any changes/additions to the English language (or indeed any language) are welcomed by some and bemoaned by others. A lot of slang has found its way into the dictionary over the years, but for everyone which has remained in usage (and, in a lot of cases, enriched the language in my opinion) there are others which have rapidly drifted out of use. I guess ultimately the OED does not determine what words we use to speak, but merely records common usage at a given point in time. It’s up to ordinary people to determine what survives and what doesn’t. I don’t have a problem with initialisms, but I don’t think they belong in the OED or any other standard dictionary. However they could and should be recorded, along with reductions like wassup and acrononyms in a reference book IMHO. Including initialisms in the OED is a clever marketing tool, not very different from the Budweiser commercial another poster mentioned that used wassup to sell beer. Perhaps there should be an Oxford Dictionary of Colloquialisms (if there isn’t one already)? I quite like that as an idea – it would indeed be clever marketing. I do think there is a strong case for the likes of FYI to be included (just as QED has been for ages), but there is surely a case for recording and cataloguing what is becoming a very significant subset of the language. I guess the danger of segregating initialisms and other reductions into a separate publication is that you would run the risk of ghettoising them. Arguments on both sides, I guess, but an intriguing suggestion for sure! Interesting post that you wrote a couple of weeks in advance of this latest update. Very true and well worth a read! Wonderful post~ It’s interesting to see how language evolves. I’m surprised that some of those made it into the dictionary… It really reflects on how culture’s developing, though. And, even if I don’t use these abbreviations much, it’s nice to see things like this getting official recognition. Exactly. I fully support FYI being incorporated, but am less sure about IMHO and BFF. But then it all depends on your personal viewpoint, doesn’t it? What’s easy to forget is that there are a lot of words already in the dictionary which are actually pretty ugly and/or clumsy from an aesthetic perspective. But just because they aren’t pretty doesn’t mean they shouldn’t be in the dictionary if there is a valid reason for them to be there. A dictionary is indeed a reflection on cultural development – and as with other aspects of culture, there is the occasional bad mixed in with all the good. Language is no different in that respect – just because I don’t like or use a particular word doesn’t mean it shouldn’t be there. I think the English language will never cease to grow and evolve, which is not a bad thing. Language is for communication and as long as everybody understands one another, adding and modifying words shouldn’t be a problem. Having said that, I would still not accept IMO, LOL, OMG and the likes in formal conversations. What REALLY irritates me, though, is the fact that many people don’t know the difference between their/they’re, its/it’s, your/you’re. Is it really that difficult to remember which to use when? It’s one thing to modify words for your convenience but using words that give a totally different meaning is too much for me to handle. I think you’re very much in agreement with madmothermusings above (and me!) on the your/you’re issue. Modifying words is one thing – being grammatically incorrect is another. Your point about the appropriateness of using initialisms in formal conversations in formal conversations is spot on. It’s all about using the relevant form in the correct context. I might use LOL when posting a comment on a friend’s blog, but I’m hardly going to use it in an email to my boss! What I love about the English language is that it grows and changes continuously. It might be a problem for some but it evolves like animals. Some might disagree that language is in fact one factor in the evolution, as humans continue to evolve, language will follow. In my French class my teacher was ecstatic and proud to say that we can read French poetry and novels from the 1600s because of different factors like complicated, unnecessary grammar. Reading 1600s French poetry might be ideal for some people, but for me it feels like we are at a standstill. We aren’t creating something, we are just the subjects learning old language and repeating, repeating and repeating the words and the grammar. It doesn’t evolve which means that it makes it all the more difficult for people to learn in our modern society. Don’t you continuously hear a professor or a teacher complain that the students haven’t learned grammar yet or don’t have full control over it. Well, then make it easier! I mean if one person have mad a mistake, fine it doesn’t matter, but when people continuously make the same mistake, isn’t there something we can do to reduce the problem? Why make it difficult when we can just as easily make it easier. If the majority of the people struggles with something shouldn’t we adapt to that. It might be easier said than done and I agree, but what is the point of having a language which has so many defaults? I am not criticizing French it’s just that language in general needs to be modified so that it becomes easier to write and to communicate. I think that’s right to a certain extent, although I draw the line at basic grammatical errors such as your/you’re or the non-existent its’. Language should certainly evolve, but there is a distinction between evolution and dumbing-down, although in reality a large grey area probably exists between the two, depending on which side of the argument you sit. It’s hard to say as a native English-speaker, but I can see how English would be quite easy to learn in some ways because it is not full of rigid rules about word order, gender and so on. But in others it must be quite difficult simply because there is so much irregularity and use of colloquialisms. How do you explain to someone that the plural of box is boxes but that the equivalent for ox is oxen. Or that the plural of cannon is cannon? I know there is a degree of irregularity in all languages, but English – because of its diversity and the fact that it has borrowed from so many other languages over the centuires – is by far the most “irregular”. I love that the english language is always growing and chaging. I love the flluidity; the ability to mold and shape language as we please. But I do think some words shouldn’t be included because they will die as quickly as they come into existince. Some of the vernacular of young adults changes so much, it’s hard to say what will always be permanent. very good point. Of course, it’s a difficult call and hindsight is a wonderful thing. All the OED can do is tale a view on whether a word is popular enough and is embedded enough in usage to have a degree of permanence to it. WAG (“wives and girlfriends”) is a good example. It is only 9 years old and could easily pass out of fashion, but right now it is a commonly applied and well understood term, at least in the UK. But it is less well known elsewhere, which makes it an ideal candidate for inclusion in what is, of course, a global dictionary resource. Should it become redundant over the years, it would no doubt be removed in time – or at least denoted as archaic. Very funny, very realistic as well. The evolution of language always has intrigued me, for it must evolve or dye. And it is in this way that as different cultures interact new words are born as a result of it. For me, being a Spanish speaker, it was amazing to discover how French and Spanish have influenced English; and it was even more amazing when I started to recognize words in English that were modified and used on my own mother language. English has been influenced by many languages over the years, often the language of invaders – French (the Normans) and Latin (the Romans) for instance. But Spanish, modern Italian, German and indeed many other languages from far and wide have also introduced new words into the English dictionary. Hence this time we also get the Vietnamese sandwich “banh mi”. English truly is the universal language in that respect. Equally, many English words have found their way into other languages, as you say – particularly modern words which were “invented” in English. “Blog”, for instance! It’s interesting to see how language evolves. Although I am sometimes disappointed that a lot of the ‘proper’ English vocabulary is being lost, we cannot stop evolution and we cannot deny that it is happening. I can’t wait to use these in a conversation. New dictionary words — OMG! Cross the line of good sense, OED! But my BFF, now, you’ll never be! Complete utter silliness – if acronyms are words now, is there such a thing as an acronym anymore? Just another example of idiots making decisions for the rest of us non-idiots. Personally pushing for eliminating the subject in sentences when they are implied by context. Scuba’s an acronym, but I bet you don’t go around saying, “I’m off to do some ‘self contained underwater breathing apparatus’ diving, if you don’t mind.” do you? An excellent point – thank you. Acronyms and initialisms are not new to the OED. As you say, “scuba” is now always used instead of its long-hand original form. And let us not forget that terms such as NATO (an acronym) and QED (a humble initialism) have both been in the OED for decades. And while I’m less sure about the likes of BFF, is anyone really going to argue against FYI being included? I like some of the new words like “muffin top” and even “wassup.” I just don’t see why we should make abbreviations intended to be used non-face-to-face communication words; these words can’t really be pronounced in spoken language without saying just the letters (like an abbreviation). I think they should have “defined” these symbols as abbreviations instead of words. Scuba was a new technology, not an exclamation or other expression of emotion. It started out as the abbreviation, S.C.U.B.A., designed to be pronounced so that it could be incorporated into our language as a new word. I have no problem with the language evolving, but the new words should at least be pronounceable. While you are of course entitled to your opinion, I think calling the OED “idiots” is rather excessive. They have huge teams of people whose sole job is to research changes, additions and deletions to the dictionary based on strict criteria. Dare I say it, they may actually know more about the subject than you or I? Just because you or I don’t like a word they have included – personally, I can’t get my head around including BFF – doesn’t make it invalid. I’m sure that if you took Shakespeare and showed him what the English language looked like even 50 years ago, he would be horrified. Change is unsettling, but it isn’t necessarily automatically wrong. I welcome FYI into the OED with open arms. I agree, it’s ridiculous. I despise internet speak. What’s wrong with spelling out the actual words/phrases? People are so lazy. Not necessarily. As another commenter says below, does that mean you would rather say “self-contained underwater breathing apparatus” every time you go scuba diving? Language is not always about formality – although at certain times it is definitely inappropriate to use slang or abbreviations – it is meant to be about communication within a loose framework of rules that make life easier for everyone. Also, FYI is not actually “internet-speak” – its origins lie in written memos. And, although it has become popularised by the internet/texting, OMG has its origin in a written letter from 1917. So it’s actually quite an old term. Good piece. Lends merit to my discussion with my English teacher that ALUDATION is in fact a word. I believe it therfore it’s true. As you said if it’s good enough for Bill, it’s good enough for me. My previous comment should have read “note to self”, not “note to sell”. There you go with the Internet. Perhaps it will catch on as an accepted phrase. But back to the difficulty of English. You need look no further than I am, You are. How exactly would that be related? I know someone whose native language is Arabic, and he claims that it was very easy to learn English. However, he has a lot of trouble with “a” versus “the”. As in, “Would you like the receipt?” Makes me cringe. On the other hand, people have no diffcullty understanding what he means, so who am I to correct him? The point of language is communication. Language is all about communication, but I do think basic rules of grammar should be adhered to because ultimately they are there to help us. Most languages make a very clear distinction between the definite article (the) and the indefinite article (a). The former is specific, the latter more generic. Often that distinction doesn’t really matter, and as you say your friend is easily understood. But sometimes it is crucial. I’m exaggerating to make a point here, but if I ask someone to “get me the car” it is implied that I am asking for a specific vehicle. But if I ask them to “get me a car”, it is unclear whether I mean my car, any old car, or indeed whether I am condoning theft. I learn new words all the time from the younger generation. They laugh at me because I don’t know what they mean. But I’m learning and maybe I’ll make up a new word so I’ll be even cooler!! Life is a continuous lesson, isn’t it? And language is no different. At this pace, I wonder if emoticons will make it into webster! Maybe one day. Who knows? Bear in mind though that the latest additions are hardly the first to enter the dictionary. There are already thousands of abbreviations, initialisms and acronyms which have been included without any real controversy – scuba, NATO, QED etc. It pains me to see such new additions to the OED. Where exactly do we draw the line? I guess it’s to be expected when technology and convenience have overtaken the worth of the written word, but just because we abbreviate something, that abbreviation needn’t become categorised itself. Eventually we’ll just have an Oxford Dictionary full of acronyms. I think that’s unlikely. The OED already contains many acronyms. And don’t underestimate the value of convenience as well. As has been pointed out by another commenter above, would you rather say “scuba” or “self-contained underwater breathing apparatus”? And who ever writes or says “North Atlantic Treaty Organisation” in full, other than in a quiz? We all say NATO, don’t we? I agree you do have to draw the line somewhere to prevent needless proliferation, but similarly acronyms are part of our everyday argot and have been for decades. The introduction of a few more will probably not bring about the end of civilisation. I’m an English teacher, and I find that most of my colleagues cringe when they see evidence of the “corruption” of our sacred language (of which they consider themselves high priests and priestesses, naturally!). As for me, I rejoice in the fact that English is a living, breathing organism that changes and grows. How boring would life be if the dictionary were a static entity? Great post. I agree with you completely. Without progress there is only stagnation. Very well written article……. Congrats on being freshly pressed. Many thanks. I’m enjoying the differing thoughts and debate it seems to have engendered! So has the <3 (heart) icon. Another new inclusion… but all just a sign of the development of language, non? Interesting post, certainly provides food for thought indeed. I like the fact that OED (is that acronym included?) is keeping up with modern times. Although, I think it might promote a degeneration of the language. Lending favour towards using more of the slang words rather than speaking coherently and fully. There’s definitely a delicate balance to be struck, although I doubt the average teenager worries about whether BFF is in the OED before using it. Still, at least it gives the rest of us a chance of understanding what it means! I think the word ‘facebook’ also must be included. I absolutely agree. What reason is there for anyone to learn how to write properly when younger generations aren’t applying what they learn? I cringe at the thought of employers receiving resumes with these abbreviations, and believe me, they will! Using these acronyms should not be encouraged. I understand the convenience of incorporating them into a text message, but they are not words and therefore do not belong in the dictionary, or any other form of written/printed material. I agree. Think about this…if today’s generation cannot, or WILL NOT, write properly, this could be the end of new literature, script writing, and other forms of text. Students think these abbreviations are harmless, but since they are taking the place of actual writing skills, the harm has only just begun to be seen. As an occasional Scrabble player, I believe that to be the case. So while scuba is perfectly legitimate, QED is not. By the same token, I would agree that we are unlikely to see IMHO and BFF in the Official Scrabble Words lists any time soon (if ever). I am an avid and long time Scrabble player. Acronyms, including SCUBA, were never acceptable. Keep in mind that when properly written, it has a period after each letter, so it cannot be used in the game. Thank goodness we will not see these in use, or at least I hope not. They are abbreviations, not words.